Welcome to Adventures on Venture, the continuing story of our adventures and misadventures as we sail around the outside of this wonderful country, Australia! 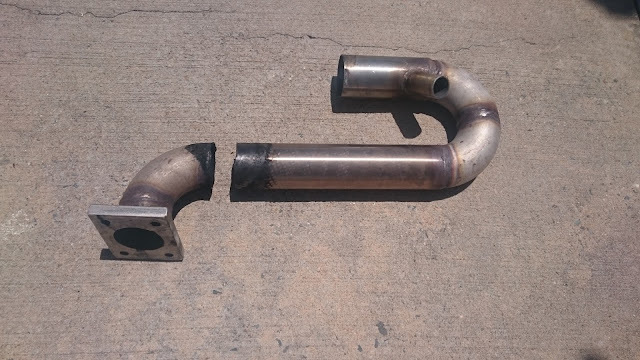 When we got our new engine, I really thought I'd seen the last of exhaust issues other than routine maintenance. Well, we did have nearly 6 months without a serious mishap.. Yesterday I was doing some routine maintenance lying down on top of the motor to reach a through-hull sea water intake valve and lightly nudged the riser for the exhaust and the bloody thing moved! It's really NOT supposed to move. It's supposed to be completely rigid welded to a 10mm thick stainless steel flange attached with 4 good sized bolts to the back of the exhaust manifold. I should have been able to swing on it..
Those who follow this might remember the problems we had with the exhaust on the old Westerbeke engine . I personally had that beast welded three times and now our brand spanking new motor has a similar problem. Slightly annoying. This is actually a serious issue of course because it allows engine exhaust gasses into the boat.. The break had a lot of soot all around it except for a shiny spot about 2mm long which must have been the only bit attached when I nudged it. Apparently the soot builds very quickly so it may not have been leaking for long but still a bit scary.. So, I pulled the bloody thing off incidentally getting really fine fibreglass splinters all over me from the lagging (what was wrong with asbestos??) which itched like f**k until I could get into the shower. Then called three welders from a google search all of which went to voice mail. Funnily enough, I met Matt the other day.. He is a welder from Brisbane on his boat (a UFO 34) also waiting for Northerlies to get home. I stopped by to ask his advice and he said that although the riser is quite short, it still needed a brace to help prevent failures around the welds due to vibration. Good advice I think. After the shower, I asked at the marina office if they knew a reliable welder and got the number for Fleet Industries in Yeppoon who were happy to do the job so I grabbed the courtesy car (thanks Keppel Bay Marina!) and took it down to them. They were really helpful and suggested a brace from the flange to the right hand bend to try to prevent a re-occurance. I hope to pick it up this morning and re-fit it (more itchy and scratchy from the lagging :-( ) so we can still leave on Wednesday for Bundaberg. I also had a chat with John Wichard (the engine supplier) and he said he would make me up a new riser using this one as a model but using 3mm pipe instead so I might get him to do that anyway while we are in Adelaide for Christmas and keep this one as a spare. The mechanic who fabricated the part is going to help pay for the work.. He would fix it for nothing if I returned it to him back in Pittwater but that would mean another weeks delay. None of the original three welders I rang have got back to me yet BTW..
Too busy having fun to keep this up to date so a quick run through our trip from the Keppel Group through to Gloucestor Bay for the Shaggers rendezvous. From Roslyn Bay (Keppel Bay Marina) we headed North into the Whitsunday Islands with Dallas and Erica on their 40' Benetau "Momentum" Leaving the marina at dawn (sorry Terry) got quite interesting when the gear lever on the pedestal decided to fail. Luckily we had backed out of the pen and I'd moved it into forward gear before the lever came off in my hand. It's attached to a stainless steel shaft that disappears into the pedestal. The shaft has a threaded hole through it and the lever is held onto the shaft by a screw. I've had some trouble with this before with both the gear lever and the throttle which is the same design but on the other side of the pedestal. Even though we have a high end, US designed and built, "Edson" pedestal, the design is pretty poor IMHO. There is no keyway, flat or splines on the shaft and lever which means that a screw through the top of the lever into the shaft has to cope with the shear forces when you try to rotate the shaft using the lever (if that makes sense). So what happens is that the screw comes slightly loose and the lever starts to rotate slightly on the shaft, work hardening (weakening) the screw until it shears and you're totally screwed (scuse the pun). I've replaced the original pan head screws on both sides with hex heads for now so I can get them a bit tighter but it's only a temporary fix really as they still come loose within days. Splines on the rod and lever would have been a much safer and obviously better way to do this because when the screw shears, you lose control of the gearbox (or throttle) with potentially serious consequences. I put the lever aside, grabbed a set of vice grips from my tool bag and clamped them down on the shaft as a temporary fix and refitted the lever with a new screw later. Getting the sheared piece of screw out of the shaft is tricky mind you! We headed off under engine but the wind came up and we managed to turn the engine off a couple of hours later and had a broad reach North in South West winds around 10 to 15 knots right up to our first stop which was Pearl (my mind says Pearl but my fingers keep typing Perl for some reason) Bay. We only stayed for one night unfortunately as it was a lovely bay with big wide sandy beaches and well protected from the South West winds we were having. We did manage to try out our new camera (Nikon Coolpix P900) there for the first time though. The zoom lens with image stabilization on this camera is pretty amazing! Admittedly, the first image is wide angle (14mm focal length) but the clarity of the second image at 350mm focal length hand-held from an unstable platform (Venture) is pretty astounding in my view. Unfortunately, the camera failed a few days later as I'm sure Terry will tell you all about and we are currently waiting for it to be returned to us under warranty. From Pearl Bay we headed up to a lovely anchorage on the North West side of Hexham Island. We spent 3 nights there in the end and it was just lovely. The anchorage was quite calm and the beach fantastic. I got totally involved with a nesting pair of Kestrels there taking hundreds of photos which Terry is still sorting through to add to her blog entry. We left Hexham on the 9th August and headed up to the Percy Island group. The Percys have a real reputation in cruising circles and it was a "must visit" stop on our way North. We anchored for a few hours on the North coast of South Percy for a while to let the swell die down a bit before we headed in to the main anchorage on Middle Percy which is not very well protected. We spent a relatively quite night at Middle Percy along with about 12 other boats and left the next day. Just before we left though, we had our most amazing whale encounter so far in this trip as a couple of Humpbacks were playing outside the bay for 10 minutes of so breaching and slapping their tails. They were a long way off but not too far for the Nikon. Watch this space for the update from Terry. We moved on quickly to avoid some nasty weather heading our way. There were some options for hiding from it in anchorages but we decided to head to Digby and Mackay instead. We motor sailed most of the way and got in to Digby quite late in the day, stayed overnight and left early the next day for Mackay Marina. We enjoyed our time in Mackay but headed North again when the weather cleared again with Dallas and Erica on Momentum. Well we headed off together but they had to turn back before we left the marina due to an unfortunate encounter with the rock wall. Dallas was steering and trying to investigate a problem with the auto-pilot and lost situational awareness for a few seconds while the boat turned slowly (he was only doing about 2 knots at the time) towards the rock wall. It happens to us all. My latest similar story (and I've got a few buried forever in my head) occurred only two days ago when we were heading through the Gloucester passage. I very nearly went the wrong side of a cardinal mark (very, very bad idea) in the tight channel when I was distracted for a few seconds by an eagles nest on a channel marker. To get back to the story, I was about 50 meters behind them and shouting at him to take care but he didn't hear me above the engine noise and hit the rock wall head on. Luckily, the damage was confined to a dent in the bow (boats are very strong there) just under the waterline but it needed repair so they headed back into the marina to arrange a haul out. It just goes to show that even moving at our slow speeds, you really need to concentrate or things can go wrong really quickly. Brampton is a beautiful spot with an abandoned and run down resort. Again, I'm sure Terry will fill you in later but it was quite eerie to walk around. Unfortunately, the Nikon failed during one of our walks on the island refusing to turn on so we we needed to get somewhere with a post office to post it off for repair under warranty. 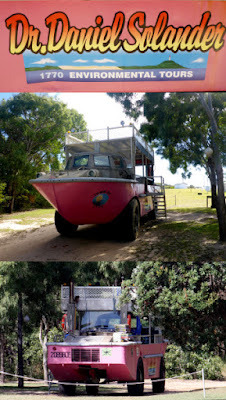 We stayed there a couple of days and left in the afternoon on the 15th August for Goldsmith Island. It was a very lumpy ride through to Goldsmith as there we were motor sailing NW in stuff-all knots of SE winds. Not very pleasant. We went south of Ingot Island while Momentum (who had joined us in Brampton the day before) went North of Goldsmith and we both arrived at the anchorage at the same time. Goldsmith anchorage was bit rolly as we were anchored quite a way out from the beach. Anchoring in the Whitsundays is quite tricky but I think I'll leave the details for another post. From Goldsmith we had a pleasant sail up to Lindeman Island where we anchored for another couple of nights pleasant nights. The anchorage here (Plantation Bay) was special for the night time displays put on by the garfish! Whole schools of fish were jumping out of the water all around us for hours. I suspect there were predators about but it seemed like they were just happy to see us there :-). 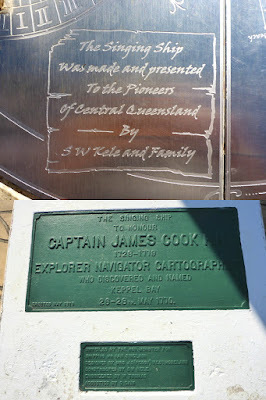 From Goldsmith we headed up to Airlie Beach which known as the gateway to the Whitsundays. It was an awesome sail all the way with the wind behind us but just strong enough to keep us from rolling and pushing us along at 6 knots most of the day. We saw some whales about 1/2 mile away and Terry was pretty sure one of them had a white back but it was tricky to be sure due to the white caps in the 15 knot breeze. It would be pretty awesome to see Migaloo! We anchored off the beach in a mooring field close to the Whitsunday Yacht Club and paid the club for the use of their dinghy dock and facilities. We took a taxi into Cannonvale to post of the camera and re-stock for the Shaggers rendezvous. From Airlie, we headed out again aiming to be at Cape Gloucester for the Shaggers rendezvous on the 25th. We had a really nice sail over to the Stonehaven anchorage on Hook Island. The anchorage has some public mooring buoys but the were all taken so we had to anchor in 13 meters of water. I'm not keen on anchoring in deep water but we had no choice this time. The first time round, we couldn't get the anchor to set (I could hear it dragging over a rock shelf believe it or not) but it did set ok a bit further around the bay. I put 75 meters of chain out and set the anchor alarm. In the end, we had a quiet night and the anchor was fine. The following morning we picked up a mooring and stayed another night. The weather was changing again with Easterlies coming along and Gloucester Bay is almost directly West from Hook Island so we decided to head over to Double Bay East on the mainland in the SE winds and then head North to Gloucester Bay in the Easterlies to come. Double Bay was another nice anchorage. It's quite shallow but with good holding and provides good shelter from the SE and East winds. It's supposed to be good fishing and we did have some luck but we couldn't identify the fish (very small) that we were catching so we let them all go. We picked up our mooring on the Tuesday and I then spent all of Wednesday trying to fix one of the cabin lights. Which brings me to the odd title of this post..
Cruising is often defined as "Fixing boats in exotic locations" and it really is true! The list of things needing to be fixed never seems to get any shorter and so we do tend to spend a lot of time at anchor in glorious surroundings getting something or other working again. The problem with the cabin light was an odd one. The light began to flicker a few days ago and then failed completely. Measuring the voltage at the light showed 10 volts which was a bit odd but as soon as you put any load on it, (like an led globe) it dropped to 4 volts which is probably less than the working voltage of the led. Further testing with a fly lead showed that it was the positive wire that had the fault (not the negative wire). The light is fed from a circuit breaker but all the lights on the port side are fed from the same breaker. They are bundled together (9 wires) and crimped into one fitting screwed to the breaker making it impossible to identify which wire goes to which light fitting without pulling it all apart. In any case, the wires lead from the breaker panel down into the bilge and under the fridge so it's impossible to trace the cable to replace it as well. At the light end, there was only about 5mm of movement in the wire which disappears into a 8 inch teak disk glued to the roof above the head lining making it essentially impossible to tug on the wire to watch which one moves at the other end without pulling off the head lining which was never going to happen! So, I ended up threading a new wire from the light fitting on the starboard side inside the head lining over to the broken one on the port side and terminating the original positive lead. The strange thing is I'm enjoying every minute of this! Weird eh..
We spent a couple of nice nights at Roslyn Bay. The marina is well kept and the people very friendly. We did some washing, filled the water tanks and headed off to Great Keppel Island for a looksee. The wind was from the South East so we went to the Northern side of the Island where a couple of anchorages have protection from Southerlies. There were a lot of boats in the preferred anchorage (Second Bay) so we dropped our anchor in Leekes beach initially and then moved into Second Bay the next day. We ended up staying for 3 uneventful nights just off this beautiful, pristine white sandy beach with crystal clear water all around. This really was like paradise. We ducked back over to Roslyn Bay when the weather turned foul and hung there for a couple of nights waiting for an parcel to arrive from Adelaide which I'm sure Terry will tell you all about. In the end, the parcel didn't arrive (long story) and we hopped back over to Great Keppel Island again for 3 more nights this time in the Fishermans Bay anchorage on the West side of the island before heading back to Roslyn Bay on the Tuesday to pick up the parcel and head further north. Foggy morning at anchor in Fishermans Bay, GKI. No emus but plenty of cheek. 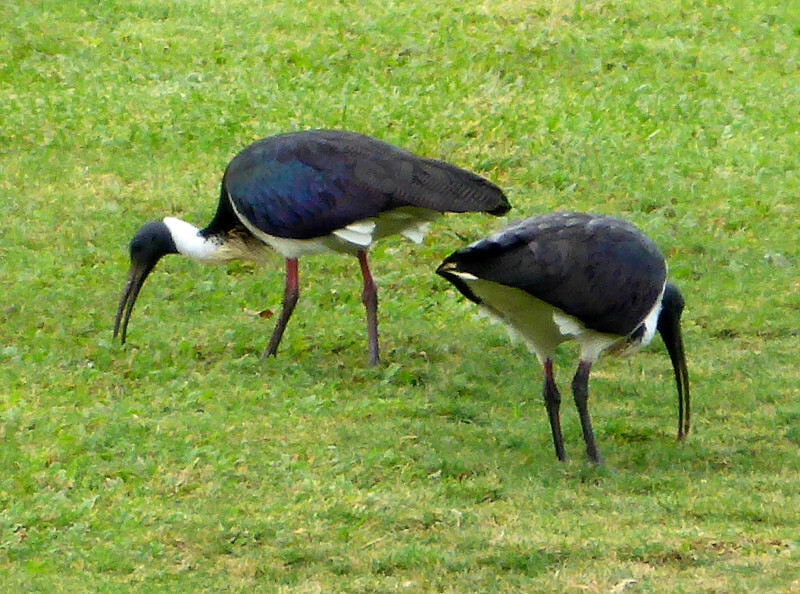 Straw Backed Ibis on the lawns at Rosslyn/Keppel Bay Marina. After a bit of a rough passage north, our next stop off was at the lovely port of Rosslyn, and the lovely Keppel Bay marina therein. The marina is in a sheltered 'bay' overlooked by the bluff (which looks very much like the Bluff at Encounter Bay in SA). With a great coffee shop/restaurant, small chandlery, friendly people in the boats, even friendlier and helpful people working there, and a bus right at the front door, we had no problem staying a few days. Fully self-contained bathrooms and a couple of laundry rooms made it nicer still although, for the first couple of days we used the public showers (not as nice) before realising there was a whole other block of roomy and very private facilities specially for marina users. D'oh!! There is also an excellent fisherman's market close to the marina. Well worth checking out. Plenty of space to sit, relax and enjoy a coffee and cake. I needed to see a doctor while I was there and the marina staff not only recommended one for me, they also made the appointment, which was awesome. What wasn't so awesome was the bike ride to get there, much of which was up some quite steep, long hills, although that had the advantage of being downhill on the way back. I keep telling myself that riding the bike is a great way to keep fit, and it will be if it doesn't kill me first. The view between Keppel Bay Marina and Emu Bay; The Keppel Group. The bus service that passes through Keppel Bay is also fantastic, stopping right outside the marina entrance. 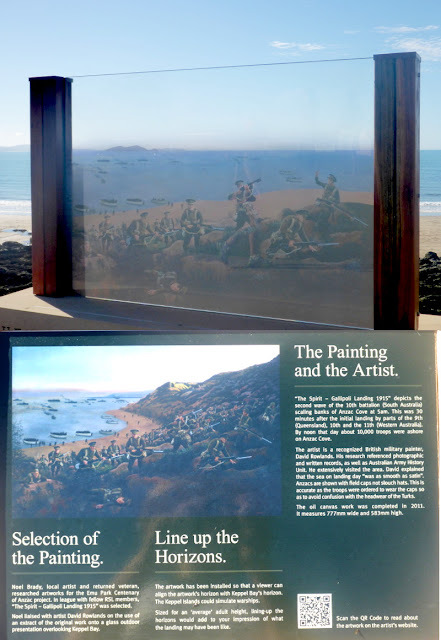 From there, we caught the bus that took us along the esplanade that looked out to the Keppel Islands and on to Emu Bay, a gorgeous, very pretty little town with an interesting boardwalk and war memorials and a lovely surprise, a sculpture called the 'Singing Ship'. Unfortunately for us, the ship was not singing on that particular day due to lack of wind, but it was still interesting to look at. I think a visit to YouTube might be in order so that I can check out the tune. The singing part of the Singing Ship, silent when we were there but apparently awesome when the wind blows. One part of the War Memorial that depicts the ill-fated Gallipoli landing. Painted on glass, if you line up the horizon at sunrise and the photo, the effect is both quite sad and profoundly beautiful. Emu Bay also has a really great bakery where everything is straight-out-of-the-oven fresh. 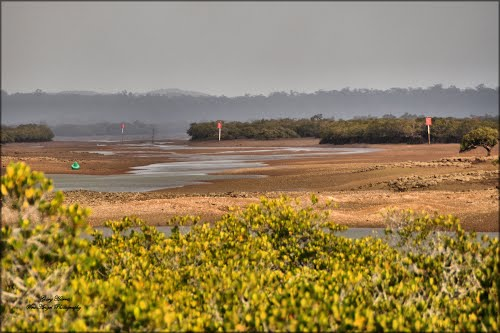 Sadly, though, the whole area around Rosslyn and Emu bays are not quite far enough south to escape cyclones and signs of the latest one was evident in a few places. Fresh sausage rolls being made in store. Cyclone damage in Emu Bay. We saw a lot of damage around Rosslyn as well. Thar she blows!! Remnants of bygone whale stuff. While we were still in the marina I was lucky enough to be invited to coffee with a great bunch of local women and spent a good couple of hours chatting while Dave got a break from me. P.S. 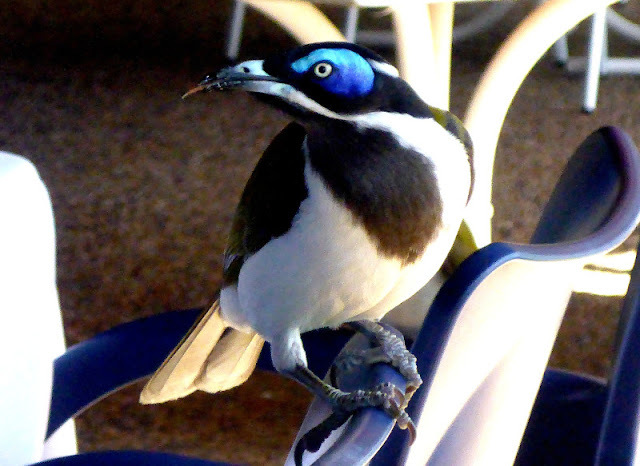 The marina café has some amazing cakes, but be on guard and protect your pastries at all times from the cheeky blue faced honey-eaters that clean up all of the scraps, much like little, brightly coloured seagulls and who seem to enjoy eating a whole lot more than just honey. 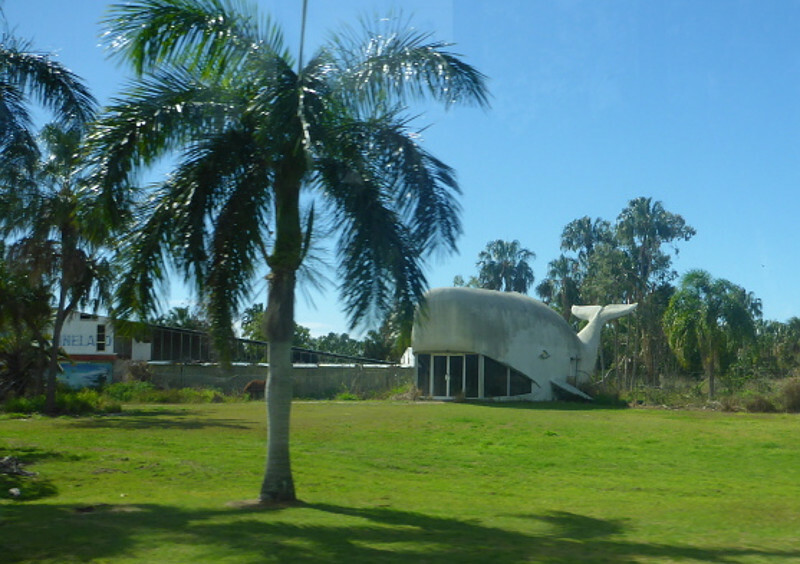 We left Bundaberg on Monday 13 July heading North again. We were heading for Pancake Creek which everyone says is the best stop heading north from Bundy and they were not wrong! As we expected the weather was quite strong so I raised the main with a single reef in it and with the yankee out as well, we turned off the engine and relaxed. Terry may have relaxed too much as she ended up in the V-berth having a kip while I tweaked sails trying to go as fast as possible, as you do.. The wind picked up quite a bit over the next few hours and I would have liked to put another reef in the main as we were a bit over-powered and heeling quite a bit at times. But we have a rule that you absolutely do not leave the cockpit when on watch by yourself and we have to reef at the mast so I ended up spilling some wind from the main to take the pressure off and we powered on hitting nearly 8 knots at times. The wind swung around to the North as we got closer to Pancake Creek and we had to drop the sails and motor into the creek where we dropped anchor at about 16:30 after quite a tiring day. Pancake creek was very sheltered and we spent 4 days there in the end exploring and hiding from the strong weather that came through. Our original plan was to take the inside route past Gladstone up through a place called The Narrows between Curtis Island and the mainland. Tides up this way are quite big (3 or 4 meters) and they need to be to get through here as the shallowest spot known as the cattle crossing is -2m. Yep, that's dry ground, 2 meters above sea level at spring low tides meaning we would need a 4 meter tide to get through with 300mm to spare under the keel :-) That's very skinny water! An image of the Narrows taken from Google Earth. Thanks to Gary Harris. This appealed to the adventurer in me as you have to get there just before high tide and move quickly through before you run out of water as the tide goes out. The low spot is about 5 miles long so it's about an hour of motoring.. But in the end, tides big enough for us to get through were all occurring at night and I might be adventurous but I'm not stupid :-) So we elected to go outside Curtis Island instead. We left on Friday 17th heading for a place called Yellow Patch. This was suggested to us by a really nice couple we met in Pancake creek from a boat called Bamboozle. They said it was a bit tricky to get into but once you were in, it was a great place to spend some time. We anchored overnight at Cape Capricorn which is a big bay at the northern end of Curtis Island providing some shelter from the South Easterly trade winds. It's a bit exposed but we had to wait for the morning high tide to get into Yellow Patch and the wind was quite mild. It was a rather rolly night but we were both tired so it didn't worry us too much. 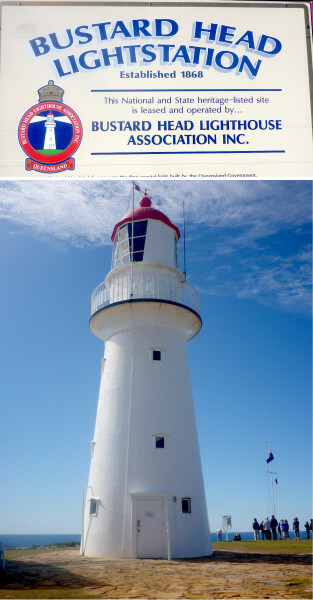 In the morning, we went into Yellow patch starting from a waypoint given to use by Marine Rescue Yeppoon. I won't publish the waypoint as the sand is shifting quite a lot so it's far better to get the latest from Marine Rescue than use an old one. We started in at about 3/4 incoming tide high enough to get through but with enough time and a rising tide to get out of trouble again if we grounded. The "low water alarm" went off a few times and our keel got within 100mm of the sandy bottom at the worst spot but once we were over the shallows, it deepened again to about 8 meters at some points and we motored over to a spot where we had enough swinging room to put out 40 meters of anchor chain. That sounds like a lot but with a 4 meter tide and a conservative 1 meter of water at low tide, you have to let out enough chain to cope with 5 meters of water at high tide. That's 36 meters when you take into account that our anchor roller is another meter above water level and you need a 6:1 scope to ensure a good set. Yellow patch was awesome! We were both really happy that we'd decided to take the risk and come in. This was even after we sat on the ground at low tide at one point :-) The wind had blown us away from the beach and put the boat into the shallows. It was quite calm at the time and I remember us both thinking, this is too calm before we popped up into the cockpit and had a good look around. I got into the dingy and sounded the depths around the boat with a weight and some knotted string. Yep, hard aground and I could see the boat was leaning a bit to confirm it. So I put the kedge anchor (a fortress) into the dingy and took it towards the beach on about 100m of old yankee sheet. After dropping it in, we wound the sheet onto the primary winch and took up the slack. This was mainly as an exercise in handling grounding events as there was very little chance we would get blown further into the shallows. About an hour later, we felt the boat start floating again and I wound the kedge anchor in using the winch until it broke free and we took it back on board. Leaving Yellow patch was another adventure this time a bit more freaky.. We had to wait out some bad weather and that meant that the tides we needed to get out were getting later and later in the day and we needed about 6 hours to get to our next stop (Roslyn Bay). Neither of us like arriving somewhere new in the dark so we took the earliest possible exit window. The tide was about 2.2 this time which was just enough for us to get out. However, there was a bit of a swell still running after the bad weather and from the anchorage, it looked like an unbroken line of low breakers right across the bay! We headed out anyway for a better look and found there were no breakers in the exit route so we decided to go and headed out very slowly. The swell meant that the boat was going up and down a bit as well as forwards and at the shallow spot we found on the way in, we bounced off the sand a few times.. Heart stopping is the only way I can describe it as if we ran hard aground with any sort of swell, we'd be banging around for quite a while waiting for the tide to float us off. We bounced about 4 times in all. Three of them were quite light touches but the 4th was a hard thump that you could feel through your feet. And then as we got into deeper water, the bilge pump started cycling..
A quick look (read jumping down the hatch in a panic to find a torch) into the bilge showed that the sensor had dislodged and was too far down in the bilge.. There is always some water in the bilge as the pump pushes the water up 4 feet of pipe to get it overboard. The water left in the pipe when the pump stops flows back down into the bilge. I have often thought of adding a check valve at the pump but the risk of it jamming closed preventing the bilge pump from working is a risk I'm not prepared to take. Anyway, the sensor was kicking the bilge pump off which pumped till it sucked air then stopped and the water flowing back into the bilge was just enough to reach the lowered sensor so rinse and repeat.. I turned the bilge pump off for the time being and moved the sensor back to it's rightful spot the following day this time with an extra screw! Anyway, we got out and made it to Roslyn Bay (Kepple Bay Marina) just before dark as planned. In all, we were quite pleased with ourselves. We had made the right decisions all along measuring risks calmly and properly always with a Plan B in mind. We had some issues but we coped well and succeeded in spending time in a pretty awesome spot! Go us! Easter Osprey checking us out. In the last post I think I had mentioned that we were once again headed for yet another early morning departure. Leaving at 5.30am to be exact, which means getting up at around 4.30. Seriously... this is messing with my head! Since when is 4.30am a legitimate time anyway? Not even the birds get up at that time! I slept part of the way after taking another happy-not-to-purge pill and twelve hours later we arrived at our destination... Pancake Creek (named after the cutter Pancake that anchored there in 1862.) Even coming around the corner in the evening light we could see that it was a lovely spot. With only a few other boats in the large bay, we chose a spot fairly close in to shore and set anchor for the next few days. We knew that the tides were quite large and that the beaches dried out to some distance and so we picked our anchorage carefully. Tide's out! Closer to the beach than we anticipated but still safe. The following morning we dropped the dinghy and went ashore to find the path that would lead us to the Pancake Creek lighthouse. We knew that whilst we were to be away, the tide was going way, way out and since the hundred metre dinghy drag isn't our favourite sport, we came prepared with food, water and a picnic blanket on which to snooze and await the incoming tide. Ducking through a hole in the trees, we found ourselves following a series of 'markers' that led to the main path. These 'markers' consisted of anything orange hanging in trees....ribbons, string, hats, an old drink bottle, small buoys, shoes... whatever could be found that happened to be orange... ingenious (remember kiddies, recycling is important)! The first place it led was through the remains of a large stand of trees. The ground beneath them was flat and bleached and completely devoid of growth and, in death, the ghostly white tree trunks stood as silent sentinels to an untold story. Not a sound was heard in this part of the journey, and when we spoke, the words sounded muffled in the air, which was simply weird. An Eastern Osprey and nest near the ghostly forest of dead trees. Following the orange detritus, we easily found the narrow, grassy path and set to, occasionally dodging huge dangling spiders and breaking through webs as we went (Dave led the way... yay!) towards the lighthouse. It was a fairly easy walk around the headland, with a nice variety of birds to spot and apart from the spiders, was really pleasant. Along the way we saw signs towards other areas, which we decided to explore on the way back if we weren't too knackered. One of those dangling bloody spiders! Little Brown Cuckoo with his lunch. Noisy Friar Bird on a large Black Boy stalk. An absolutely wonderful Beach Stone Curlew. At the lighthouse, we found that we weren't able to go up close because there was a tour group (the paying customer always comes first) that had arrived from 1770 (the town, not the era) in a big, pink aquaduck but the caretaker did tell us about a vantage point a bit further along where the views were awesome, so we we snapped a few pictures of the lighthouse and then to take in the sweeping vistas of the gorgeous Jenny Lind Creek (named after the schooner Jenny Lind which ran aground on Feb 2nd 1857). She was right.... it was awesome. The stunning view towards 1770. Whilst there, the tour group and their very knowledgeable guide arrived, which was great because we got to hear all about the tragic histories of those who were buried there. Surprisingly, very few of the interred had died a natural death. There were multiple incidences of accidental drowning in the creek and on the seaward side, one 16 year old lad became lost in the bush after hitting his head whilst cutting trees and perished there, there were deaths from illness and accidents, a baby was scalded with a pot of boiling water and treated with butter on the burns, as was a common but useless treatment back then. She died in agony nine hours later... that poor baby. One woman (Kate Gibson) it was said, had committed suicide and so, considering it a sinful act, her name was omitted from the family grave. However, it was more likely that she had been murdered by her husband as there was apparently a lot of evidence that, had it happened nowadays, would have convicted him. The story goes that she was living in Bustard Head with her husband, Nils Gibson, and four daughters. In 1877, for some unknown reason, she just left the cottage one morning and walked out into the bush. Next morning, one of her daughters found her. Her throat was slashed from ear to ear. Her husband alleged that she had taken her his cutthroat razor, just walked out of the house and committed suicide. However, the fact Nils always had the razor on him, even when he went out in his boat (where he claimed he was when his wife died, even though there were no witnesses to that), should have aroused suspicion but for some reason Nils apparently hadn't noticed it missing. Kate was found the following day by one of her daughters, lying flat on the blood soaked ground with one arm lying across her chest. The fact that it is almost impossible to slit one's own throat from ear to ear was not taken into account. Nor was the fact that the razor, which had been missing was, days later, found beneath a tree root near the tragic scene. A mystery indeed. One of Kate's daughters was also a drowning victim and another died from epilepsy. Nils himself eventually died from cirrhosis of the liver. On the family headstone, Kate's name is omitted as 'suicide' was seen as being against the church. She is just 'Dear Mother'. Bustard Head has always been marred by tragedy, with its first victim being a workman who suffered a blow to his head during the lighthouse’s construction and who died the next day. With his passing came a bizarre series of shipwrecks, drownings, an abduction, a murder, Kate Gibson’s 'suicide' and several other unusual deaths. There are a total of nine graves in the cemetery, with a couple of them child sized and unmarked. Very sad but also interesting. After leaving the cemetery we decided to take the slight detour to Aircraft Beach, a wide, long expanse of flat, solid, golden sand on which, you guessed it, aircraft have been landed. It was yet another stunningly gorgeous, empty beach. 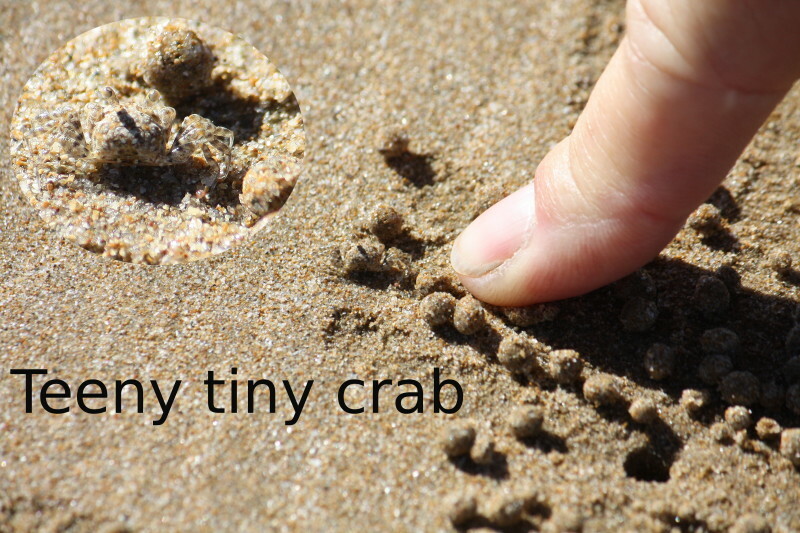 One of thousands of tiny crabs to be building little piles of sand. When we got back to the dinghy the tide was well out and so the blanket was spread, snacks and water came out and we picnicked and Dave snoozed and I took photos on the beach until the tide had come in enough so that we didn't have to traverse the worst of the mud. We again felt so lucky to be able to see somewhere that is not ordinarily seen. When stranded, take a nap. Slashes across a deep blue sky. Whilst in Pancake Creek we met up with a whole bunch of people for sundowners (which is drinks, nibbles and more drinks as the sun goes down :) )... Erica and Dallas from "Momentum', Warwick and Judi from 'Bamboozle' and a lovely lone sailor named Alan. We also met some new friends, Trish and Andrew from the vessel 'Sengo' a huge Leopard catamaran where they live and sail with their two gorgeous cats. From Left: Judi, Alan, Cap'n Tweaky, Erica, Dallas and Warwick. And now it's time to once again hit the ocean and find ourselves a little swatch of sunshine in Yellow Patch... stay tuned. Venture is a Cabo Rico 38. A beautiful boat and our home for the next few years. Terry Jackson and Dave Edwards......... . Picture Window theme. Powered by Blogger.